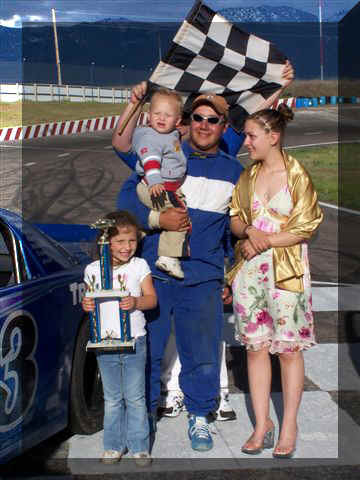 May 22, 2006 - The Rocky Mountain Pro-stocks held their first race of the 2006 season on Saturday, May 20th, at the Mission Valley Speedway. The field of eight Pro-stocks from the Big Sky Pro-Racing Association (BSPRA) competed with #43 Jarred Burland taking home the win in the Main event. The night started with Jarred also taking the fast time of 16.67. Two heats were then lined up according to time-ins putting the fast cars in the back where they would have to try and work their way up the front within the 12 laps. Heat A had Jarred working his way from the back to take the win and move into Trophy Dash A along with second place finisher Wade Shepard. In Heat B #26 RJ Olsen was able to hold off #7 Tracy Burland for the win with both moving into Dash A.
Trophy Dash B was ran next, with third and fourth places from the heats lining up. Josh Burland, #16, led until Duane Olsen was able to pass with two laps left. Bobby Butler spun on the white flag lap, but ended up in the infield as the checkered flag was throw for Olsen. Dash A had RJ Olsen leading half way until Tracy Burland was able to pass. Jarred was right behind Tracy but ended up finishing second. Wade Shepard had minor problems during the race and had to go to the pits, but was able to come back and start the main. Wade Shepard worked his way to the front in four laps, and held that lead until the 19th lap. Josh Burland had been having troubles and moving back in the pack and left the track after 15 laps. A yellow was through for debris and as restart was about to happen, Butler had an engine problem and had to be towed to the pits. Two laps after the restart, RJ Olsen got a little loose out of turn 4 and Duane Olsen was right behind him. Duane had his clutch go out and was unable to avoid hitting RJ. Jarred Burland had caught and passed Shepard before the wreck, but the scoring goes back to the last completed lap, causing Jarred to have to start in second behind Shepard again. Jarred was able to get back around Shepard after the restart. Tracy Burland was right in the mix and after trying multiple times to get around Shepard was able to get into second place with 2 laps to go. 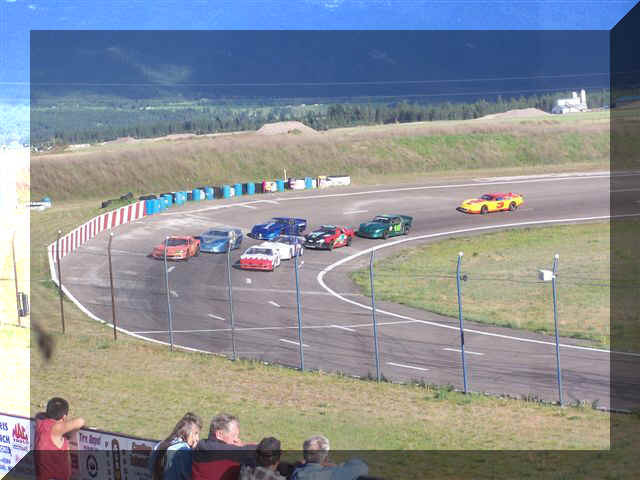 BSPRA will next race at Port Angeles, WA on June 24th. For more information visit: www.bigskyracing.net.